Springtime in the Smoky Mountains means it’s time again for the massively popular Mountain Quiltfest in Pigeon Forge. 2016 marks the 22nd year of this annual event, held March 15-19 at the LeConte Center. The festival attracts 20,000 people from across the country and the world, who come to admire the unique and stunning quilts on display. 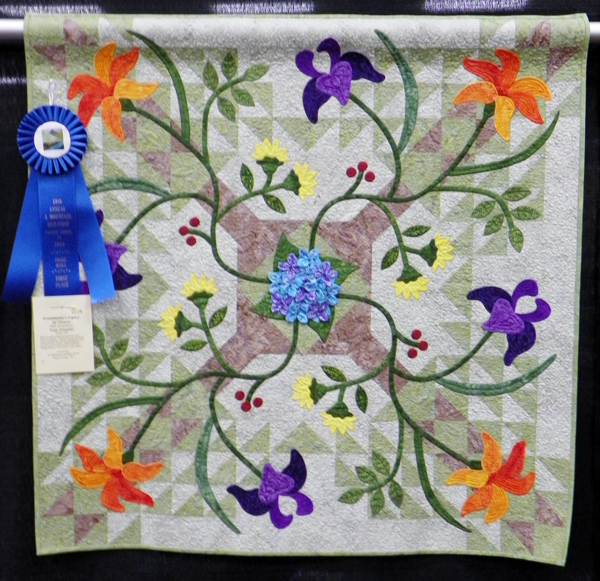 Many attendees will also compete in over 20 categories of quilt design, for more than $22,000 in prizes. Many will also enjoy almost 75 classes packed into the 5 days, covering every conceivable aspect of the craft – from absolute beginner to highly advanced technique – and taught by almost 20 instructors from across the country. The convention space will also be packed with specialty vendors catering to all fabric and sewing needs (as well as food, so you won’t go hungry). And as always, by appointment you can have your own quilt appraised professionally to discover its worth. If you don’t know quilts, this is a perfect time to learn. The Pigeon Forge convention is totally FREE to meander and gaze as long as you like, and you can finally catch up with what generations of Americans have long known. And not just Americans. Quilting has been common across the world for centuries, and may even date back to ancient Egypt. And the Quiltfest celebration as always coincides with Worldwide Quilting Day, on Saturday, March 19, the closing day of the festival. The five days of classes give a hint of the magic and sassy style hidden in this “quietly spectacular” festival. Check out names of classes such as the “25 Yard Dash”, “Orion’s Star”, “The Geisha” and of course, “Down Home Drunkards Path”. It all makes sense to the quilter, and you can learn the craft with such classes as “Monkey See, Monkey Do” for the confident beginner, or “Conquering the Curve” for all levels. Try “Creating Depth & Realism With Thread” for the beginner with experience. Then there’s “Being Creative with Tsukineko Inks” and the “3-D Fabric Lotus Blossom” class, both for all levels. In fact, most of the classes are useful across all skill levels from the beginner to the advanced quilter, and the instructors are no less varied in their range of experience and diversity. Many are owners of quilt or fabric shops, and some have lifetime backgrounds in art. All have been drawn into the magic of the quilt, one lady even giving up a career as a DNA scientist to focus full time on the craft. So here comes the 22nd Annual, A Mountain Quiltfest in 2016 and attendees have been registering since November of last year for classes and competitions. Registration continues in real time throughout the event, both at the event and online at the website – be sure to study requirements and availability. You can also call (865) 429-7350 for more information.